G is for… gingerbread and gloves, H is for… hockey and hot chocolate. 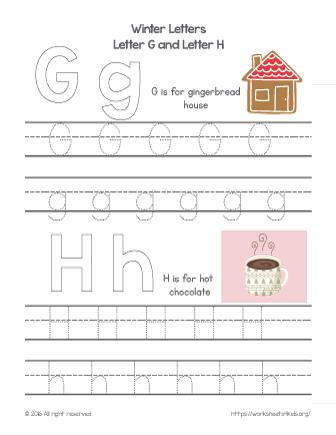 Trace winter letters G and H and learn new winter words. Bring a Christmas spirit in your class and have fun lessons with your students.